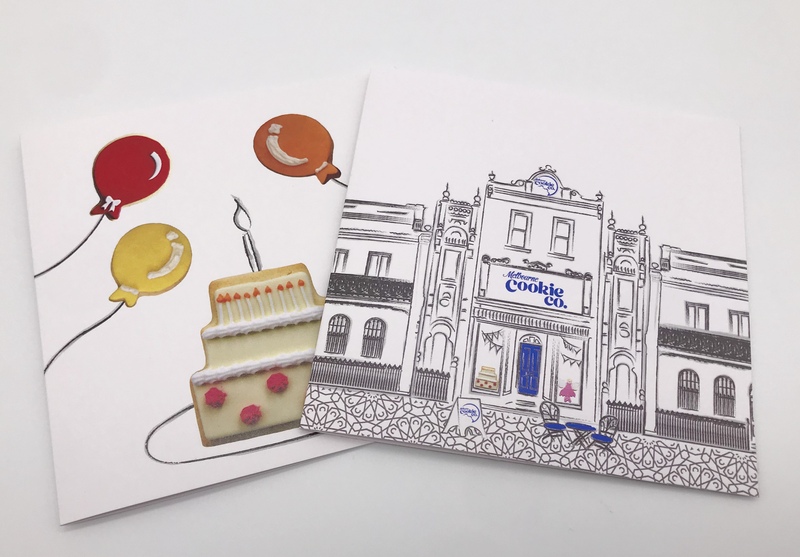 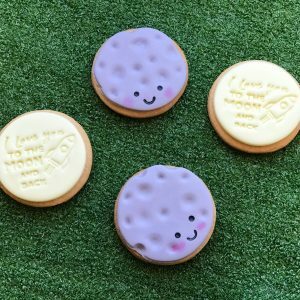 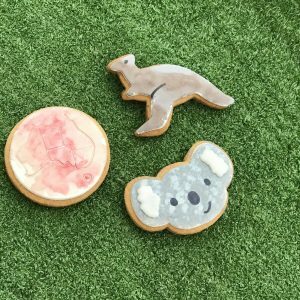 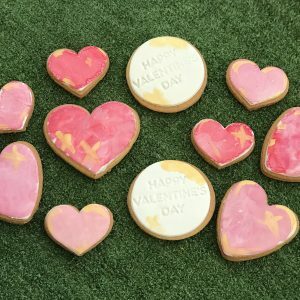 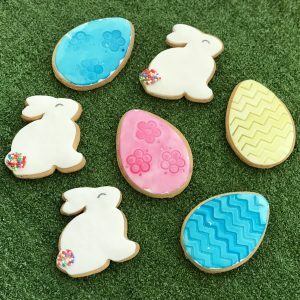 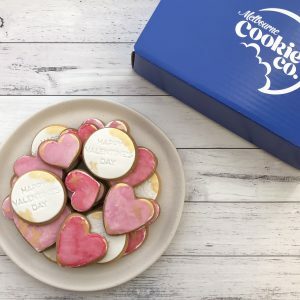 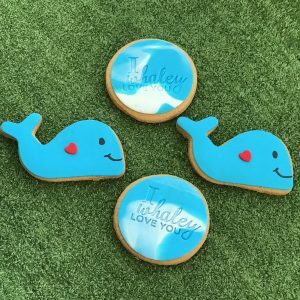 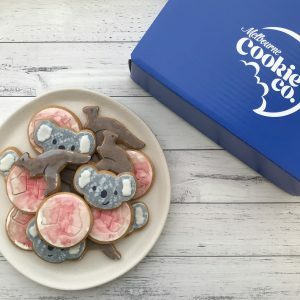 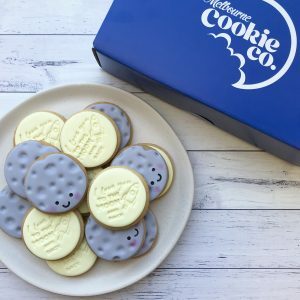 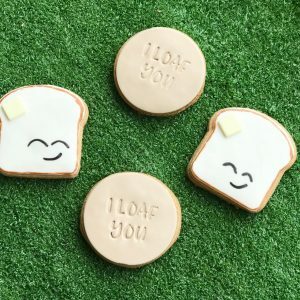 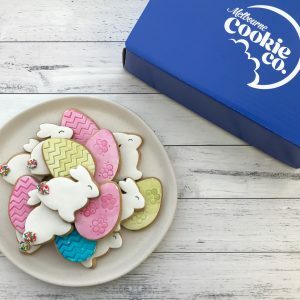 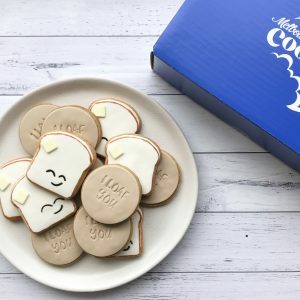 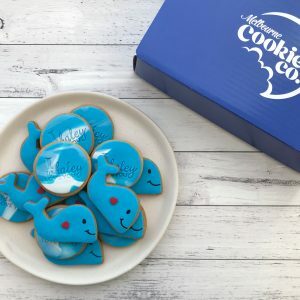 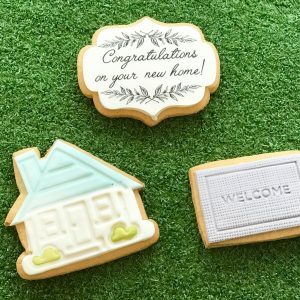 These cookies are perfect to send to anyone that’s been feeling down and needs cheering up! 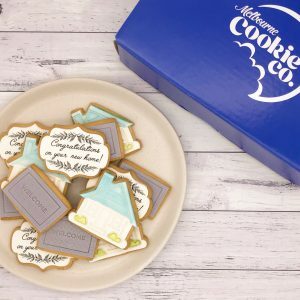 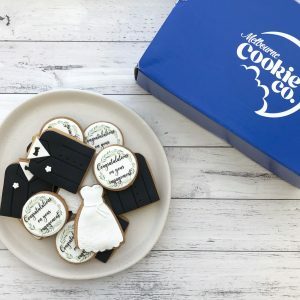 All our cookies come individually wrapped with ingredient labels on the back. 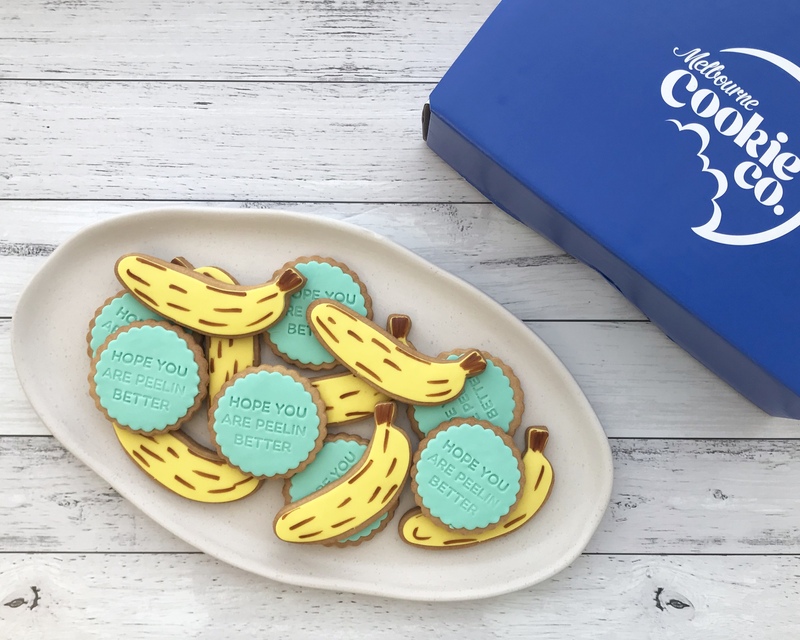 This box comes with 12 cookies in a mix of banana cookies and “Hope you are peelin’ better” message cookies.